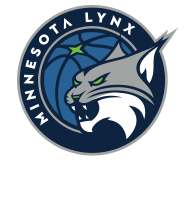 The Minnesota Lynx host their first day game of the 2017 season on Wednesday against the Dallas Wings in St. Paul. The Lynx enter the game with a WNBA-best record of 15-2 overall to sit atop the WNBA. The Wings come in at 10-11 overall and are in seventh place in the WNBA standings. 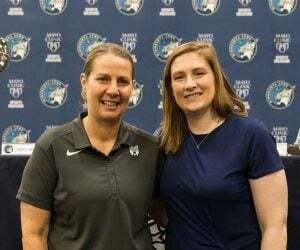 Wednesday is Minnesota’s final game before the WNBA All-Star Game on Saturday. The game will be start at 2:30 p.m. CT in Seattle and will be televised on ABC. The Lynx hold a two-game lead over the Los Angeles Sparks (14-5) for the best record in the WNBA. Minnesota comes in winners of two straight games, while Dallas has lost two of its last three. 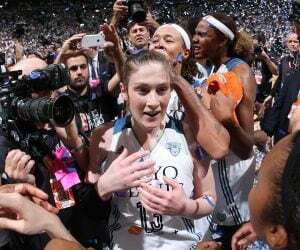 The Lynx current record of 15-2 overall is their best start in franchise history. Minnesota is coming off of an 81-66 win over the Phoenix Mercury on Sunday night in St. Paul. Sylvia Fowles led the way for the Lynx, finishing with 18 points and five rebounds. Jia Perkins had a season-high 13 points, Rebekkah Brunson had 11 points and four rebounds, Renee Montgomery and Plenette Pierson had 10 points each and Maya Moore finished with nine points and nine rebounds. Dallas is coming off of a 112-106 double-overtime win over the Chicago Sky on Sunday in Arlington. Skylar Diggins-Smith had 26 points and four rebounds to lead the way for the Wings. Kaela Davis had 23 points off the bench, Karima Christmas-Kelly had 17 points and five rebounds, Glory Johnson had 12 points and nine rebounds and Kayla Thorton added 11 points off the bench. Minnesota holds a 2-0 season series advantage over Dallas so far this season. 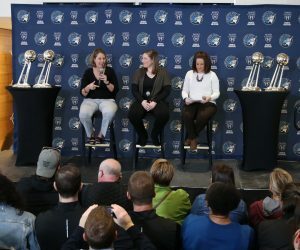 The last matchup came on June 11 in Arlington, with the Lynx winning 91-74. In that game, Fowles led the way for Minnesota with 30 points and nine rebounds. 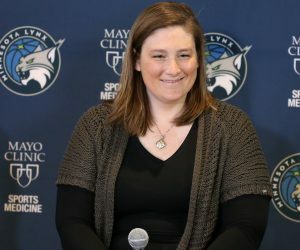 Moore had 23 points, four rebounds and four assists, Rebekkah Brunson had 13 points, 14 rebounds and four assists, Seimone Augustus had six points, nine assists and five rebounds and Lindsay Whalen added four points, three rebounds and three assists. For the Wings, Christmas-Kelly had 21 points and three steals and Allisha Gray had 14 points and seven rebounds. Diggins-Smith had 11 points and four assists, Saniya Chong had 10 points off the bench and Glory Johnson had eight points and eight rebounds. Wednesday’s game will be the third and final matchup between the two teams this season. A matchup to watch out for on Wednesday will come between Minnesota’s Maya Moore and Dallas’ Karima Christmas-Kelly. Moore, in her seventh WNBA season, is averaging 15.2 points (16th in WNBA), 5.7 rebounds (20th in WNBA), 3.9 assists (13th in WNBA) and 1.6 steals (5th in WNBA) per game through 17 games. Christmas-Kelly, in her seventh season, is averaging 11.5 points, four rebounds, 2.2 assists and 1.2 steals (16th in WNBA) per game. Dallas: Aerial Powers (hip) is out.